Turmeric and Curcumin is only available to members of Steven Horne's Member program. Turmeric is an Asian spice that gives curry its yellow color. Related to ginger, this rhizome is a classic ingredient in Indian cooking and also has a long history of use in Ayurvedic and traditional Chinese medicine. Its chief constituent, curcumin, has been the subject of about 61 clinical trials according to the National Institutes of Health. Research on curcumin suggests that it has antimutagenic properties, which means it helps prevent the formation of cancer cells. It also helps the liver to detoxify cancer-causing chemicals and may help the body fight cancer. 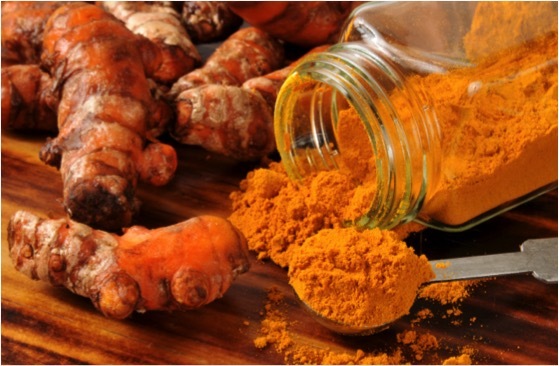 Curcumin inhibits arachidonic acid metabolism, the metabolic pathway that creates pro-inflammatory chemical messengers and is a very effective anti-inflammatory. It also stimulates the immune system and inhibits viral replication. The healing properties of turmeric make it very useful for reducing pain and inflammation after injuries to muscles. It also helps to reduce pain in both osteoarthritis and rheumatoid arthritis. Turmeric is antioxidant and helps prevent the oxidation of fats. It can help improve blood flow and reduce the formation of arterial plaque. It can help protect the brain from both trauma and strokes and may help protect against memory loss. In addition to the above, turmeric may be good for eye health, sinus and ear infections, food poisoning, herpes, wound healing, eczema and psoriasis, ulcers and gastritis and possibly even weight loss. Join us for this Sunshine Sharing Hour where we’ll share with you all of the amazing research and historical information on both curcumin and turmeric.